Our engineers have designed highly efficient residential silencers. With high demand in the domestic market, our silencers meet most of the pollution control standards. In addition, our product comes with customization and thorough installation support in lieu of very reasonable pricing. 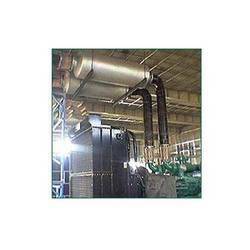 AE is involved in the manufacture and export an extensive assortment of Residential Silencers. Our silencers see engineering for use as exhaust mufflers. Our product comes with a mechanical ridge lock system that eradicates the need for trouble causing welding joints. Sold at industrial leading prices, our product sound proof canopy uses high-grade stainless steel for development. Looking for Residential Silencers ?